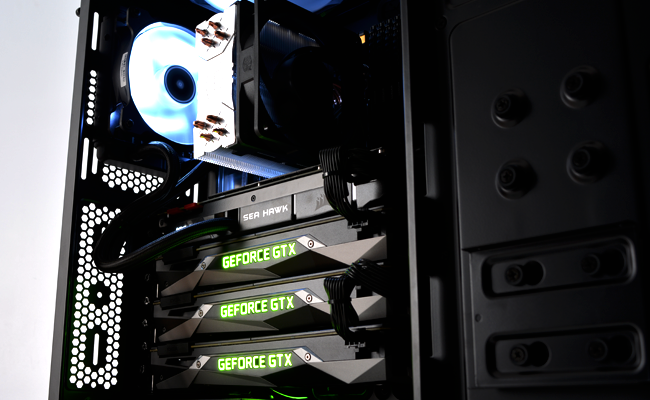 And yet another X99 system for this week's CCL Custom Build of the Week but we simply could not ignore the fact that this PC has FOUR graphics cards! 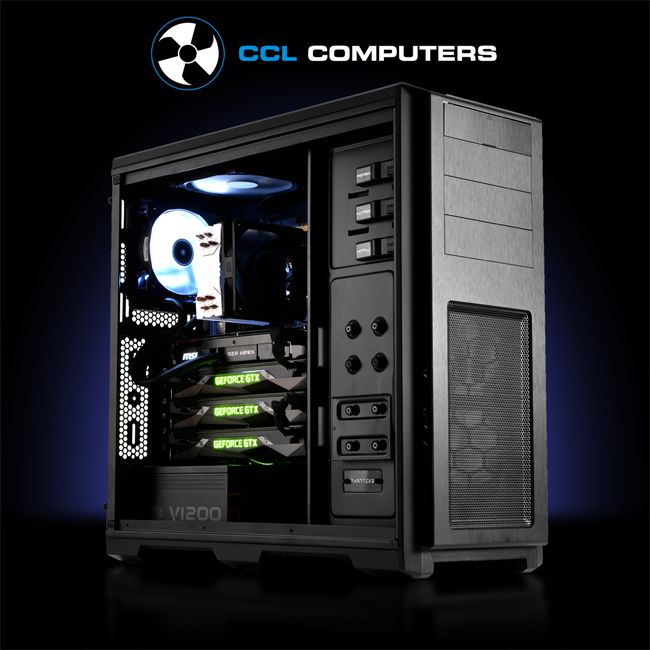 This seems more of a workstation type PC rather than a gaming one (don't get us wrong, it would still be a beast gaming PC) given the Xeon CPU and lack of SLI bridges on the GPUs. 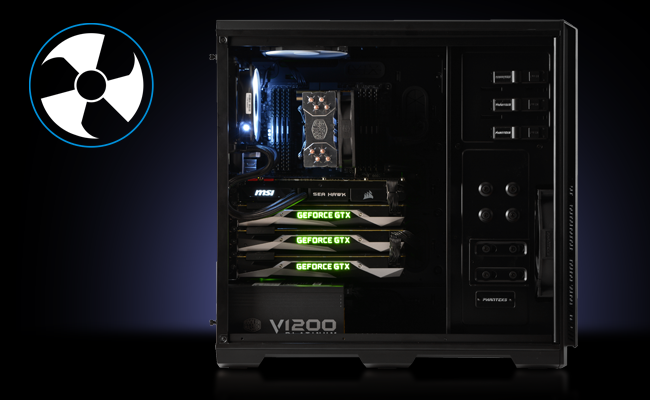 Featuring a GIGABYTE X99P-SLI motherboard, Intel Xeon E5 1620 v4 processor, Corsair Vengeance LPX desktop memory and just 4x GeForce GTX 1070 graphics cards... Powering this beast is a Cooler Master V1200 1200W 80+ Platinum power supply to support the 4 way multi-GPU set up, it offers up to 93% efficiency at 50% load, has a zero dBA fanless mode for silent operation and 100% high quality Japanese electrolytic and solid capacitors to ensure performance and reliability. 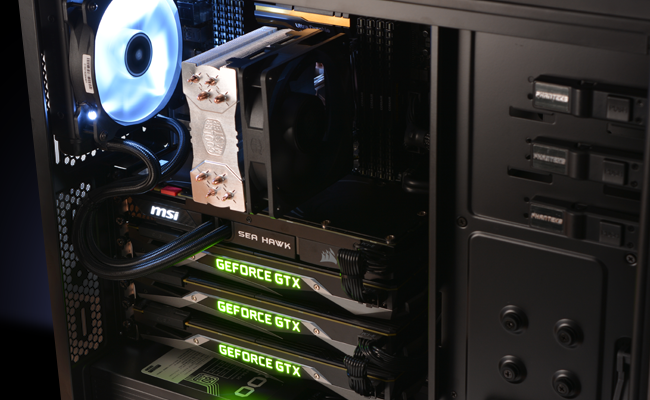 There are 2 models of the GeForce GTX 1070 in this build, 3 EVGA Founders Edition cards and 1 MSI Sea Hawk X with liquid cooling provided by Corsair. This beast is housed in a Phanteks Enthoo Pro Mid Tower Enthusiast case, a beautifuly crafted and engineerd chassis which maximises cooling potential with it's amazing expansion flexibility. It has a multi radiator support, removable SSD bracket, closed HDD panel and velcro cable management to keep things nice and tidy.